On 22nd November 2008, Saturday, the 2nd Annual Academic Meet 2008 of UMRO Delhi was held at Tagore Hall, Faculty of Arts, University of Delhi, Delhi – 7. The meet was graced by Dr. Thokchom Meinya, MP, Manipur Lok Sabha, Government of India as Chief Guest and Dr. S. Somorendro, Lecturer, Department of Physics and Astrophysics, University of Delhi, Delhi-7 as President. 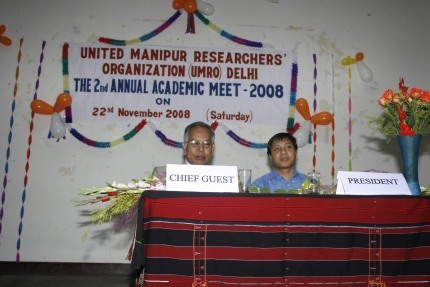 Both the chief guest and the president emphasized the importance of research and higher education for the development of Manipur in every aspect, in their respective speeches. 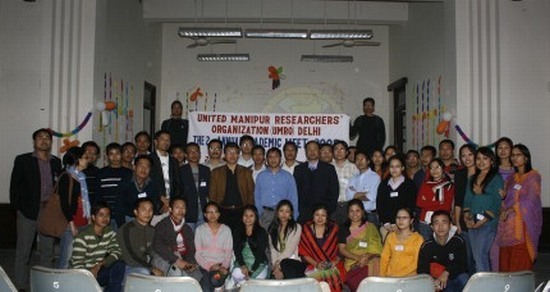 The programme began with the welcome address from the ongoing President UMRO, Mr. Kamal Nongmaithem followed by the brief introduction to UMRO from the present Vice President, Ms Haokip Nemneivah. The function was enlightened by the cultural dance performed by the students of Delhi University, and Martial Art show from Oknarel Cultural Troupe, Delhi. Certificates of Appreciation to the Bright and Budding Students (who cleared NET/JRF or scored above 60% in Masters) were distributed. As a primary event of the meet, a technical session was kept in the post lunch. 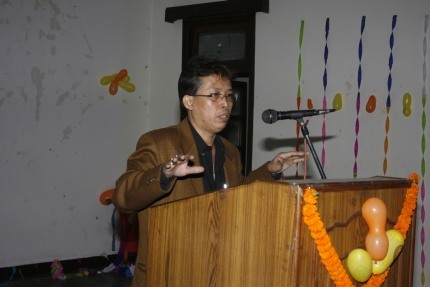 The technical session began with a special lecture by Dr. A. Bimol Akoijam, Associate Professor, JNU who spoke on the topic ‘Crises and Responses: Making sense of Contemporary Manipur’. He emphasized on recovering ourselves and instilling confidence to change for the better. The 2nd lecture was given by N. Manichandra Singh, Lecturer, Department of Economics, Ram Lal Nand College (Eve), University of Delhi on the topic ‘A glimpse of economic scenario in Manipur’. He revealed a deep knowledge of economic resources in Manipur and suggested measure for improving the economy of Manipur. Dr. S. Somorendro and Dr. Homen chaired the respective lecture session. Besides, the active participation from all the delegates, the interaction between the speeches and delegates made the session more wholesome. With a cup of tea, Mr. S. Yaiphaba Meitei, General Secretary UMRO closed the meet with vote of thanks to all the delegates. This entry was posted on Monday, January 4th, 2010 at 8:13 am and is filed under Uncategorized. You can follow any responses to this entry through the RSS 2.0 feed. You can leave a response, or trackback from your own site.